KWCardDesign : TODAY IS MY BLOG ANNIVERSARY!! THAT MEANS A WINNER!!! TODAY IS MY BLOG ANNIVERSARY!! THAT MEANS A WINNER!!! Today is the day I celebrate one year of my blog - KWCardDesign. I can't believe it has been a year already!! It is very exciting!! 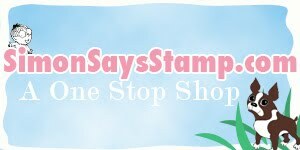 Seeing as how I have never had a giveaway before on my blog - it is a new thing to me, and my readers - so I wanted to do the most popular and fair way to pick a winner for the $30 Gift certificate to spend at Simon Says Stamp!!! I went over to Random.org, and chose the winner that way. SO- DRUM ROLL PLEASE!!!!! My winner is : Comment # 8 - Adrienne!!! Adrienne - please email me (kikiwebster30@gmail.com)!! Thank you to those of you that participated!! I can't thank you enough!!! I hope to do another giveaway soon!!! I am off today from work - so I will be getting crafty, and will be back to share some new creations!!! Happy Friday!!!! congrats adrienne!!!! and happy bloggyversary Kari!!!!! !